Fiji is blessed with 333 magnificent islands some inhabited, most not. Set in the tropical South Pacific, the Fiji islands are surely the essence of an island paradise with white sandy beaches, swaying coconut trees, pristine oceans and waterways, and a range of things to do and see that will appeal to the most discerning traveler. Stroll the glimmering white beaches hand-in-hand at sunset, snorkel, dive, surf or kayak the pristine oceans, whitewater raft clear and clean waterways, hike rainforests, visit welcoming villages and experience or immerse yourself in unique culture and history. And get to know the smiling, generous, relaxed Fijians who greet you and everyone they meet with the famous and welcoming ‘Bula’. The Islands of Fiji have diving experiences extraordinaire. Shore dive, night dive, resort dive, wreck dive or cave dive. Fiji is renowned as “The Soft Coral Capital of the World” and is also home to the “Great Astrolabe Reef”. Feel the goose-bumps as you experience shark feeding or enjoy a different thrill swimming with the giant mantas. From shallow coral enclaves, home to hundreds of different types of corals and sponges and resident micro-denizens of the deep to spectacular bommies with cascading corals draped like exquisite, fragile chandeliers to deep, dramatic drop-offs that disappear into darkness. Dive Fiji to see it for yourself. The moderate water temperature makes for year-round diving and the visibility is a photographers dream. 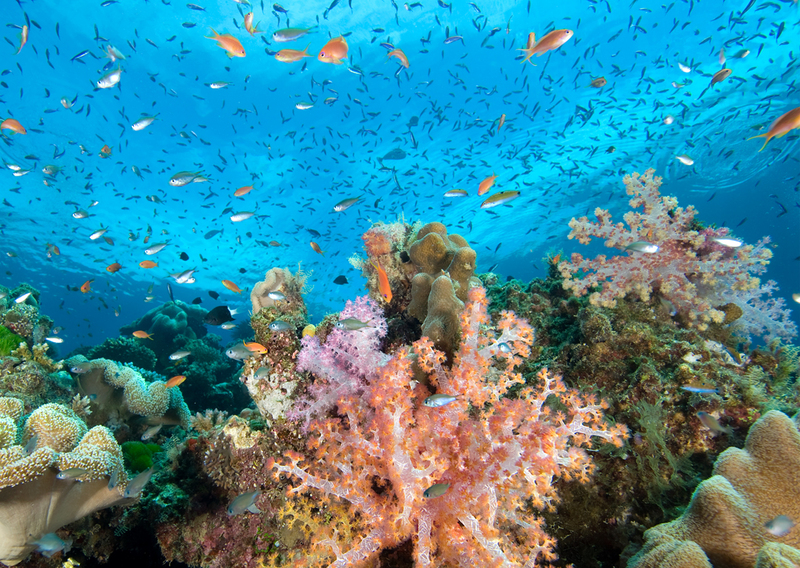 With over 4000 square miles of coral reef, Fiji Islands offer divers unparalleled marine biodiversity.